We have been using MailChimp email marketing for years, starting as free plan to then paid plan (thank god, otherwise we will be forever 'starting up') as MailChimp starts charging when you have more than 2,000 subscribers. We have been using MailChimp email marketing for years, starting as free plan to then paid plan (thank god, otherwise we will be forever "starting up") as MailChimp starts charging when you have more than 2,000 subscribers. 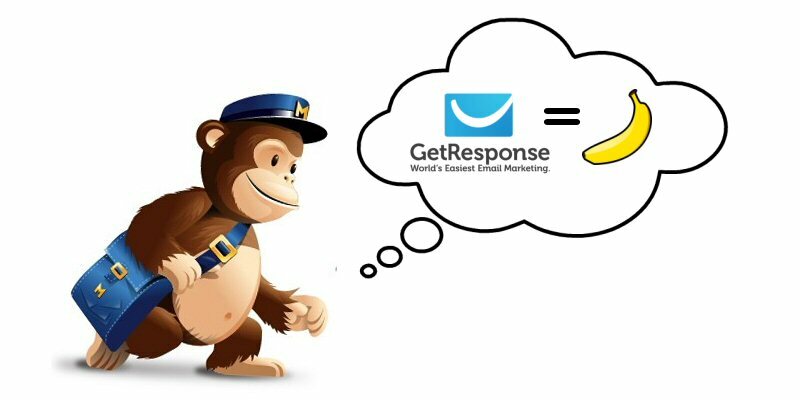 However, we have recently migrated from MailChimp to GetResponse. After trying out on GetResponse, it was an easy decision to migrate so read on to find out the reasons why we think GetResponse has better features than MailChimp. 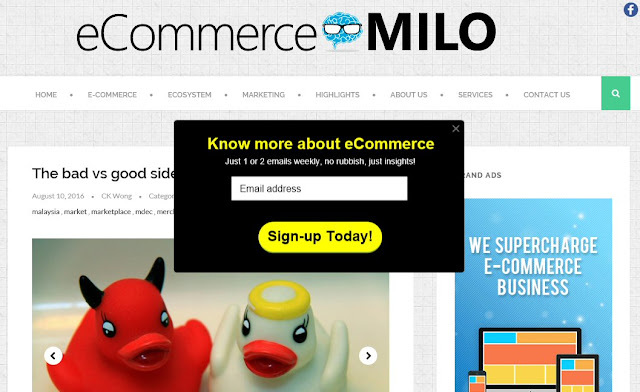 If you are new to email marketing, please read our previous introductory article: Have you overlooked email marketing? Installing smart form via pop-up layer on your website, is one of the most effective yet easiest ways to increase your email subscribers count. We too, have done so at both our main and news site. This was not possible with MailChimp earlier, so we leveraged on third-party tools like AddThis to do this when we were still using MailChimp. Nevertheless, MailChimp has introduced this subscriber popup not long ago. It is still pretty basic at the time of writing, with only popup delay (popup shown after x seconds) is customizable. 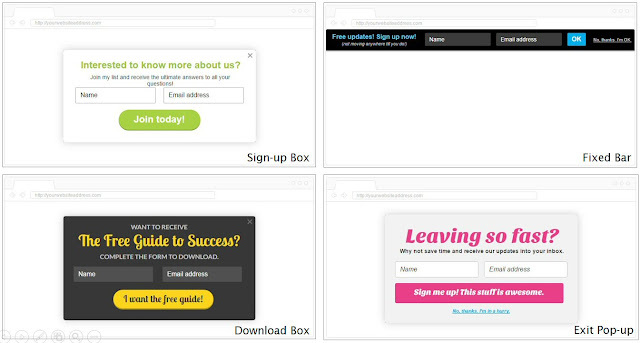 GetResponse on another hand, offers various types of subscribers sign-up form. Click here for more GetResponse form options besides those listed above, which is definitely much more than what MailChimp can offer. One of the important configurations available via GetResponse is you can customize the display frequency (always, 1 day, 3 days, 7 days, 14 days, 30 days...), in order to control how frequent the pop-up is being shown to your website visitors by cookies. This is very crucial as you wouldn't want to annoy your visitors by showing the pop-up everytime your website is loaded, and this is not configurable (yet) via MailChimp. Survey is one of the many features not available at MailChimp. 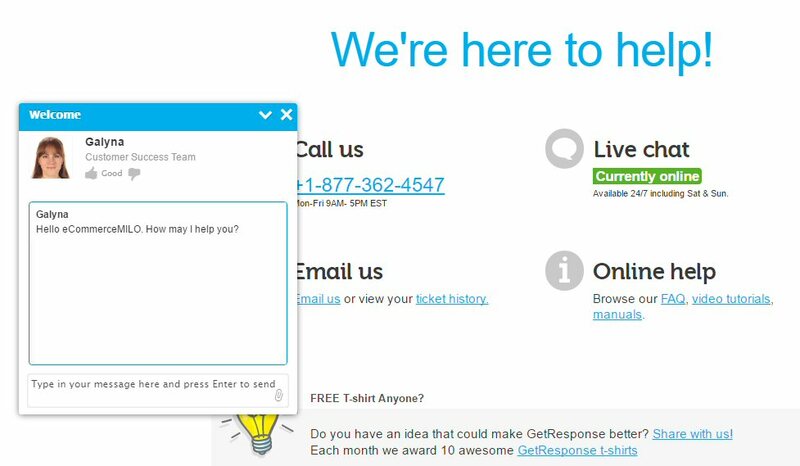 With GetResponse, you can even ditch other survey tools like SurveyMonkey. You can use survey to profile your existing subscribers. For example, if you need to understand more about your subscribers like gender, location, purchasing behaviour etc, just send out a survey and ask them! Survey can also be used to capture new subscribers, which you can refer to sample question 2 in screenshot above. Data entered via the survey form will be inserted automatically to your email list (subscriber's data). This will save you a lot of hassle, imagine what you need to do if you are to capture those data via SurveyMonkey then import / merge into your email list. 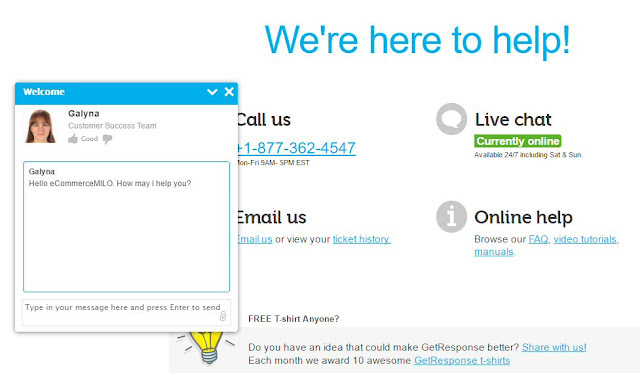 Landing page is also not available at all via MailChimp, and this is our personal favourite feature of GetResponse! With GetResponse, you can build landing page even without any programming skills, just use the WYSWYG editor, drag & drop, and customize. If you use GetResponse advanced landing page features, you can even assign the landing page to your own domain, for example http://specials.yourdomain.com. Together with webinars (which is also available at GetResponse but not MailChimp), landing page is the most powerful tool for leads generation (acquiring emails). 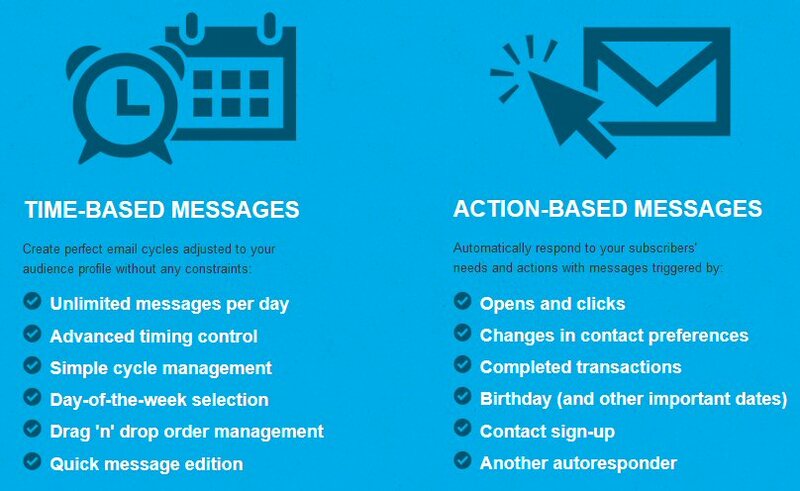 If you wish to excel in email marketing, marketing automation is a must! Emails should be personalized, not sending one-size-fit-all emails all the time, and you can execute personalized email via GetResponse's autoresponders and marketing automation. Autoresponder is a simple rule-based by sending time-based or action-based emails. 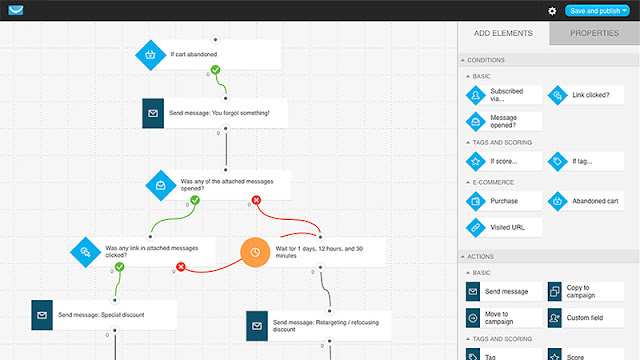 If you take this to another level, it is the marketing automation which facilitates email send by customizable workflow. Just imagine if you can set a workflow if users abandon their shopping cart, like below. 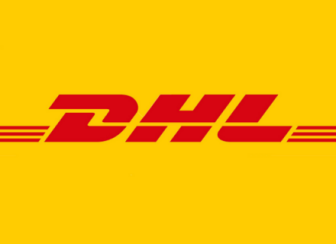 There is just a simple integration (code insertion) required if you wish to automate emails based on e-commerce event triggers, such as purchase, abandoned cart, or even when users visited certain URL (think wish list). MailChimp did introduce some sort of automation features not long ago but it is no where near what can be done with GetResponse . If you are on paid plan, you are entitled to email support by MailChimp. GetResponse (paid plans) on another hand, facilitates various support options via online help, phone call, email and live chat, which we find it very useful. Whenever we have quick questions, we can just trigger the live chat and talk to REAL person, very handy indeed. 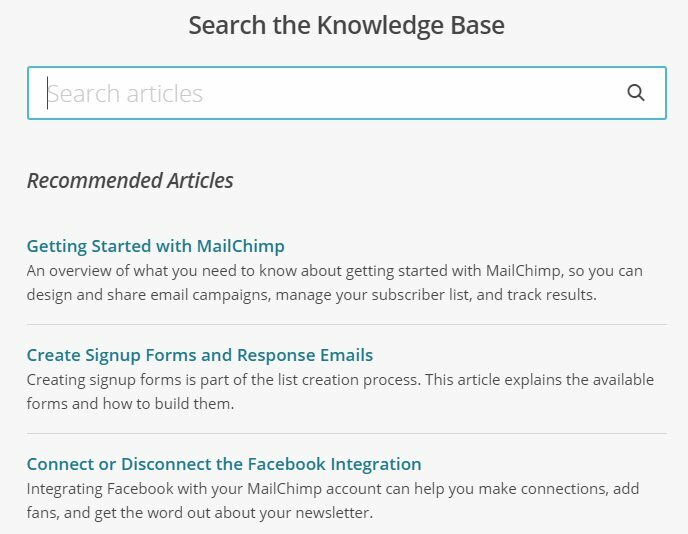 MailChimp is gaining a lot of traction thanks to its free plan for list size (subscribers count) of 2,000 or below. 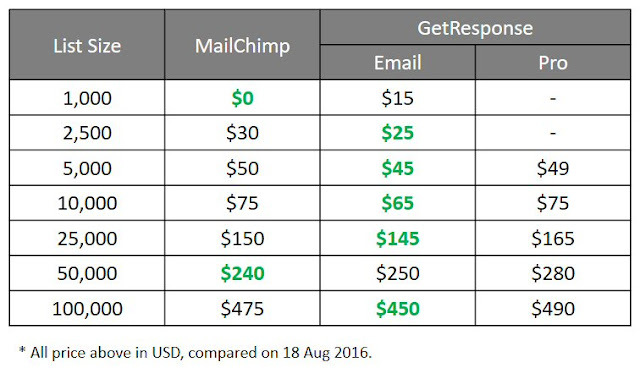 That's pretty much the only price advantage MailChimp enjoys over GetResponse. GetResponse doesn't offer any free plan, as free trial is available instead. However, shouldn't you aim for growing your list size instead of contained with staying below 2,000? How long do you plan to stay as "startups"? 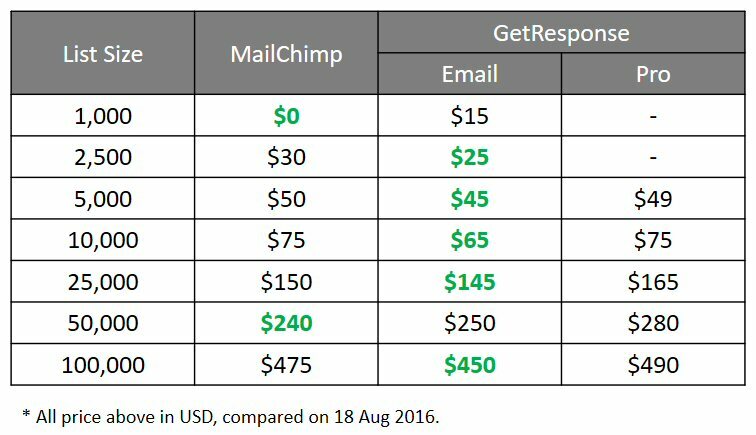 As shown in comparison table below, GetResponse edges MailChimp on paid plans pricing, but more importantly GetResponse offers more sophisticated features so there is more value for money. In case you wonder, GetResponse's Pro plan offers advanced autoresponder and marketing automation features vs the basic version of Email plan. If you have more than 100,000 subscribers, please contact us as enterprise plan might suits you better costing and features wise. Otherwise, you can sign-up for a free trial here. In summary, MailChimp is geared for start-ups or SMEs, while GetResponse offers comprehensive email marketing solutions best for both SMEs or enterprises.